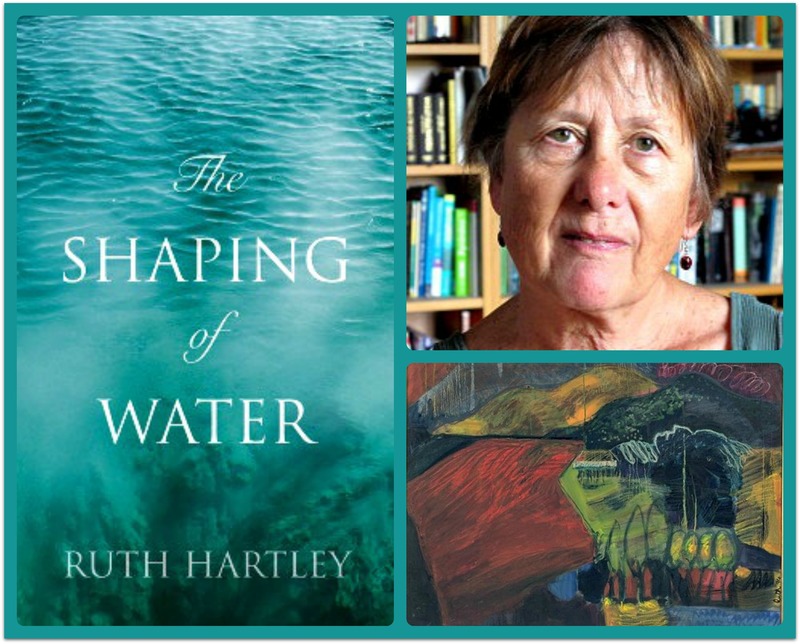 The Shaping of Water cover art; Ruth Hartley author portrait; Ruth Hartley’s painting of her father’s farm. My guest today, Ruth Hartley, is a writer and an artist—but from the point of view of the Displaced Nation, she is something else as well: an expert on displacement. Ruth has lived a life of displacement. She grew up in Africa, a continent that continues to have the world’s largest number of forcibly displaced peoples. She grew up on her father’s farm in Zimbabwe, which at that point was known as Rhodesia, at a time when struggles for independence in European-ruled African territories were spreading like a wave. As a young woman, she moved to South Africa to study art and then had to escape to England because of her political activities. Ruth took refuge in London, where she married and started raising a family—but still felt the pull of her native Africa and chose to become an “expatriate economic migrant” in Zambia (formerly Northern Rhodesia). She lived with her husband and children in Zambia for 22 years, returning to the UK in 1994 to practice and teach art. Five years ago she set out on a long tour of Europe and Turkey. She now lives in Southern France. Ruth recently published her first novel, The Shaping of Water, which, perhaps not surprisingly, reads like an ode, a kind of paean, to displacement. The action follows the progress of a decision by Rhodesia’s rulers to build a dam across the mighty Zambezi. They called it the Kariba Dam because the dam wall spans the narrowest and steepest of the gorges along the river, known locally as kariwa (a trap). Completed in 1959, the Kariba Dam created a vast man-made lake, Lake Kariba, in the Zambezi Valley. The lake displaced the river people, the Tonga, and forever changed the ecology of the region. The book’s protagonists are a colonial couple, Margaret and Charles. They decide to build a lake-front cottage in Siavonga, a settlement that springs up to accommodate the displaced Tonga. 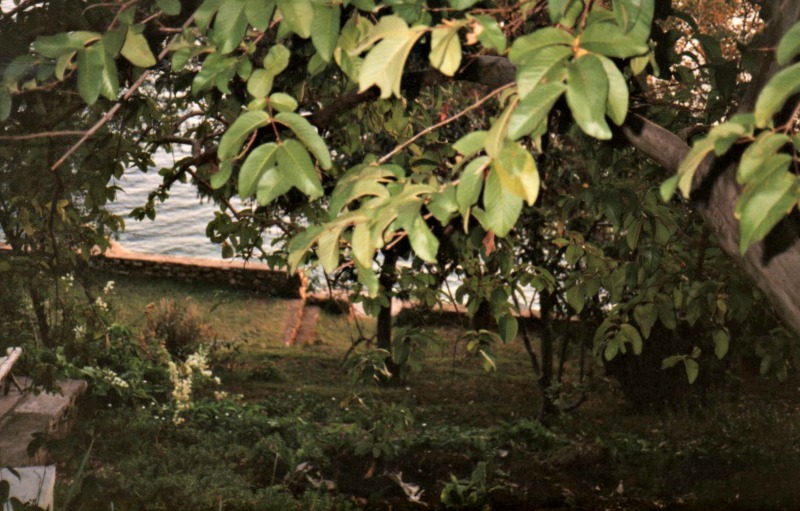 Ironically, although the ramshackle cottage sits in a spot that would never have existed had it not been for the building of the dam, which shaped the river in a new way, it is the one constant, a kind of retreat from the forces that displace practically everyone during the African liberation wars that ensue. Margaret and Charles use it as a place of sanctuary, and eventually two other couples come to do so as well: South African freedom fighters Marielise (Margaret’s niece) and Jo, and NGO worker Nick and his UK-raised African wife, Manda. The cottage also provides a livelihood for Milimo, the son of a Tonga woman whose home was drowned by the lake. Margaret hires Milimo as gardener and caretaker for the property at the suggestion of Father Patrick, a missionary who worked in the Zambezi Valley before its shaping by water. Here near Kariba, ‘the trap’, in the middle of a wilderness, is a place called Siavonga, which is a name without meaning. It is a place that will be a town but a place that is not yet built. It is a place that is presently isolated by poor and inadequate roads and it is difficult to reach. It is in a country that is becoming another country, with another name. It is here that there is a plot where a contractor builds a cottage above a lake not yet filled with water. All this takes place in the newly created Central African Federation of the Rhodesias and Nyasaland that will be no more in a few short years. Two of these countries will change into independent states with different names when that happens. It is an exercise in madness and dreams, in magic and megalomania, and the Tonga people know it to be impossible. And now I think it’s time to get to know Ruth a little better, and hear some more about her book as well as the other creative projects she is working on. Hi, Ruth, and welcome to the Displaced Nation. I expect you will feel entirely at home here. I wonder, did you consciously set out to write a book exploring displacement? Damage done for political reasons. Damage that is personal, emotional and private. It includes damage done by racism and sexism and deals with both in subtle ways. Though each of these themes gets its own part in the book, they are also interwoven. I passionately wanted to bring the issues of contemporary Africa to life in a truthful, but also empathetic and positive, way. I know you lived through many of the events that are depicted in this novel. To what extent is your work autobiographical fiction and to what extent historical fiction? My novel is about entirely fictional characters living through actual and verifiable political and social events. I grew up in an intense political climate in Africa with a strong personal commitment to human rights. I did live through those events and have always made notes and collected newspaper articles and books throughout my life. But because I respect and love the individuals I knew in Africa I was careful to invent the people in my story. None of them is me either though like Margaret, I, too, am a gardener. The cottage, however, is real and the cottage guest book provided me with records of the weather and the lake levels. For me, the cottage assumed the role of the central character. You said it was real. Was it a place where you actually stayed? 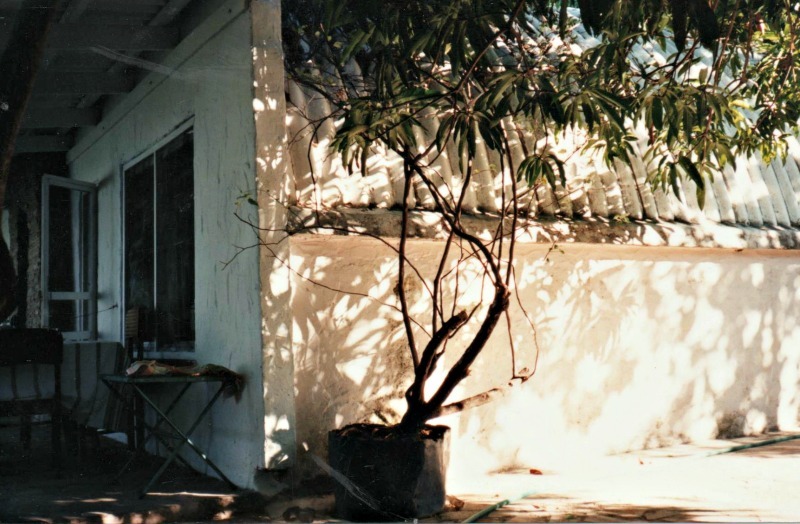 The cottage in Zambia on Lake Kariba that Ruth Hartley and her family often visited. Photo credit: Ruth Hartley. The view from the cottage to Lake Kariba; photo credit: Ruth Hartley. 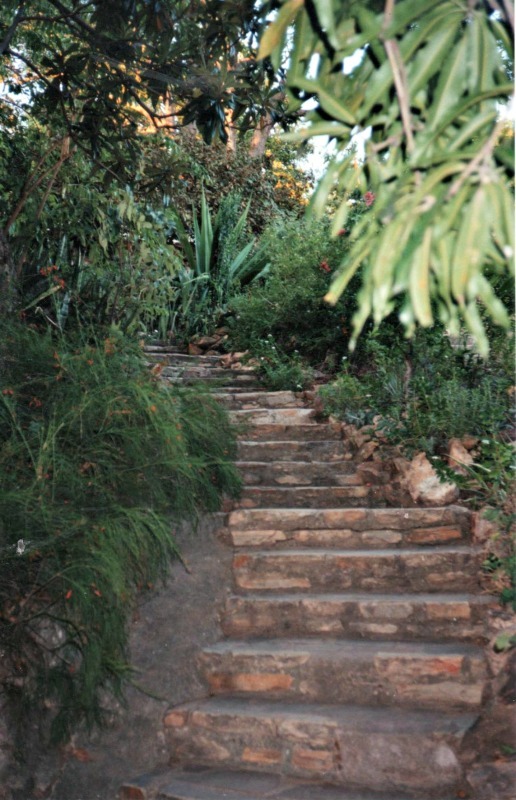 The steps leading down to Lake Kariba from the cottage; photo credit: Ruth Hartley. 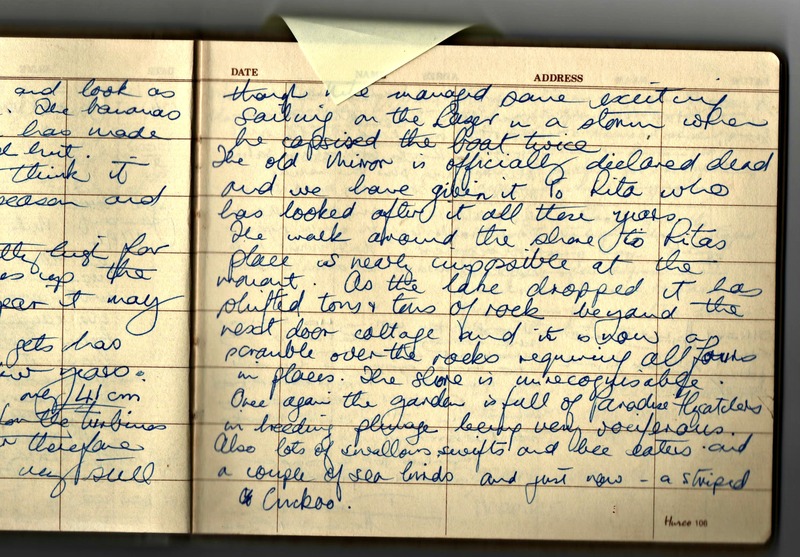 In 1975 I gave the owners a Visitor’s Book to record happy weekends spent there with friends. The book became my sole responsibility and I kept it as a log of the cottage and the lake from 1975 until 1994. It was finally returned to me after 2000 when the cottage was sold. The original Guest Book from the cottage, which Ruth inherited and used to inspire her novel. Photo credit: Ruth Hartley. Looking at these materials makes me wonder: did you ever consider writing a memoir instead? I wrote a fictionalized memoir called The Love and Wisdom Crimes in 1999 in which I was careful to protect people’s identities. It is about how I became politicized and fell in love when I lived in South Africa in 1965. Though I was told it is good and poetic, I had countless rejections because the African setting was not considered to be easily marketable. I have just completed a no-holds-barred memoir of the year that followed when I survived as a single mother in London. It is titled A Bad Girl in Search of Love. Goodness, you are prolific! Can you describe your path to publishing The Shaping of Water? At 70, I didn’t want to waste time or energy on rejections so I went for self-publication and self-promotion. I believe the market is moving this way in any case. I used Troubador Publishing because they offer a comprehensive printing and marketing package at a reasonable cost and with integrity. I don’t expect to recoup my investment but I will self-publish again. Hopefully it will be cheaper because of what I have learnt. What kind of audience did you intend for the book? I think that my audience is anyone who reads for pleasure and who also likes to make journeys of discovery into new worlds and ideas with believable and interesting characters. I enjoyed reading the book because it gave me a feeling for contemporary African history, while also making me realize how little I actually know about Africa. I think I identified most strongly with Margaret and Charles. I felt bad that they saw a future Africa that would have a place for them, only to have that vision eradicated as the violence of the liberation wars escalated. It seemed to me that even if you wanted to do the right thing for Africa, after a while it was hard to know what the right thing was. I have been thrilled to find readers who do not know Africa or its politics but who still have enjoyed the book and its characters. I didn’t intend this book as a lesson in African history, but I expect it would be good background material. So what are you working on next and will you continue exploring some of these same themes? I am working on two more novels. I am more than half way through writing The Tin Heart Gold Mine, a book that is set half in a fictional African country and half in London. The setting and the plot are quite different to The Shaping of Water, but the themes should be of universal interest. It is the story of Lara who begins in Africa as a wildlife artist and the lover of Oscar, an entrepreneur who owns a defunct gold mine and is also a political manipulator. Her journey takes her to London and a life with Tim (a journalist) and Adam, a child of doubtful paternity. She makes, owns and uses art that is troubling and troublesome. I enjoyed looking at some of your art on your author site. I look forward to reading your book about an African wildlife artist. What’s your other novel about? Sounds tantalizing! Finally, are there any pieces of advice you could impart to other international creatives? I am an artist and writer who was effectively prevented from writing and painting for a good part of my adult life though I did teach and work in support of artists for many years. I learnt that it is important and essential to make art and to write, though very few artists and writers make a living from their art or get much recognition for it. Creative people, however reclusive, need an audience and to communicate. How about lessons for other wannabe novelists? It is important to write well and that takes practice and humility and many, many redrafts. I am always anxious about what my readers think even when I know I have written a good book. My readers matter to me so I have to keep on improving my craft as a writer. Thank you, Ruth, for being with us today and for sharing some more of the story behind The Shaping of Water. On your Web site you describe yourself as a compulsive storyteller. I think we got a feeling for this today as well. So, readers, any COMMENTS or QUESTIONS for Ruth? To learn more the Kariba Dam and the experiences that inspired the story Ruth tells in her novel, please watch this short video interview with Ruth and also be sure to visit her author’s site. And if you think you’d like to read Ruth’s novel (we highly recommend it as a Christmas read! ), Ruth has kindly arranged for Displaced Nation readers to get a 50 percent discount when ordering a paperback copy at the Troubadour site (enter the code: HARTLEY). You can also buy the book in a Kindle format, not only from Troubadour but also from Amazon UK and Amazon US. Ruth, I’m reminded of a Rhodesian friend whose family lost everything – including their homeland. Enjoyed this post and will check out your book. Thank you Cindy – I hope you like the book – losing your homeland is losing memory and history too. So makes one empathize with all refugees. It is about never being able to return or visit – in a sense true for us all as we grow older but definitely worse for the displaced!